Just a month after moving into their dream home at High Wood, one couple have welcomed their first child, and the developments first new baby! 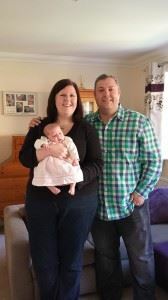 Carl and Wendy Murphy were blessed with their daughter Hanna Elizabeth Murphy on 22 July, just weeks after moving into their ‘Kingston’ house in Lancaster. 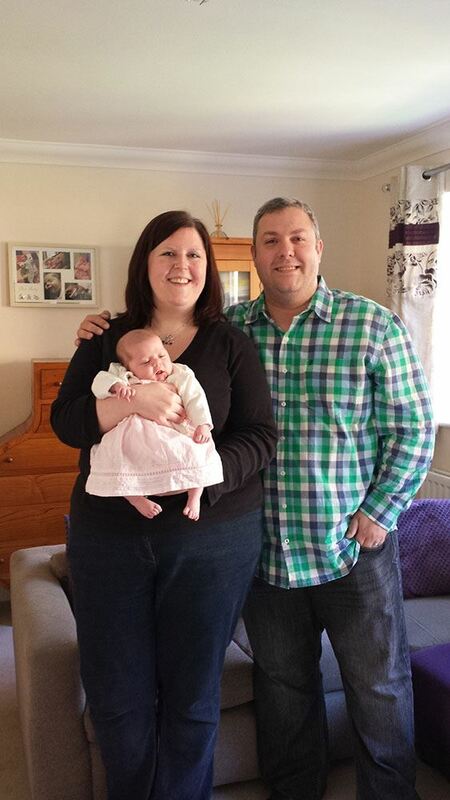 Carl, 40, an NHS contact centre manager and Wendy, 34, a civil servant for The Department for Work and Pensions were renting a home in Lancaster before buying their dream family home at Story Homes’ High Wood development, ready for the arrival of their daughter. Baby Hanna, who weighed 7 lbs 2 oz, is High Woods first newborn baby, and will join a number of other young kids on the family friendly development. Wendy said of Hanna’s future in her new home: “High Wood is so tranquil and beautiful; it’s nice to know that our daughter will grow up along with the development and have lots of other children to make friends with here. Wendy and Carl, who were recently married, knew exactly where to look when they wanted to buy a family home in Lancaster. Wendy, originally of Carlisle, was already familiar with Story Homes and their high quality houses. She said: “I have grown up knowing of the Story family and the beautiful homes built by Story Homes. With this knowledge of the family and their business I would never have a new build house built by anyone other than Story Homes. I trusted them to build a solid quality house using local materials and tradesmen. “The Kingston house suited our needs and budget. The plot was perfect with a good sized garden as well as a community green space at the front. Being able to move in, knowing that everything was clean, fresh, and finished to a high standard, was probably the best thing about owning a new home. It was especially valuable for us as our baby was imminent. We just love how light, warm and spacious the house is in general. The kitchen is well designed, appliances are to a high standard and it has fantastic bay windows that let the light flood in. 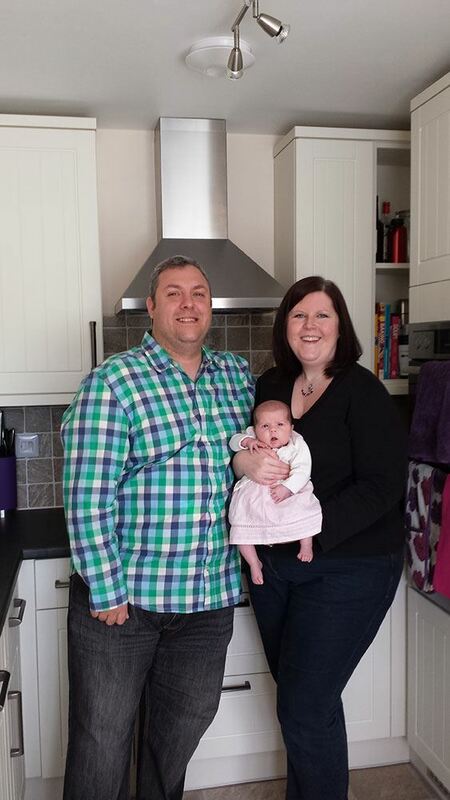 The Murphy’s had taken advantage of the Help to Buy scheme which enabled them to move in to their dream home at High Wood quicker than they previously thought. The Government incentive, which offers a 20% equity loan, means that buyers only have to put down 5% deposit. And the best part is; you still own 100% of your home. More than one third of all Story Homes’ buyers in the past year have used the Help to Buy incentive. High Wood is the fantastic development of high quality homes in Lancaster. This sustainable community of 3, 4 and 5 bedroom homes offers a mixture of detached, semi-detached, terraced and town houses; designed and finished with a mix of natural stone, render and brick. For more information about High Wood click here or call Sylvia on 07817401808.